Anyone who has been following my blog for a while knows by now what huge Star Wars fans we are in my house. I am talking about crazy, ginormous fans. 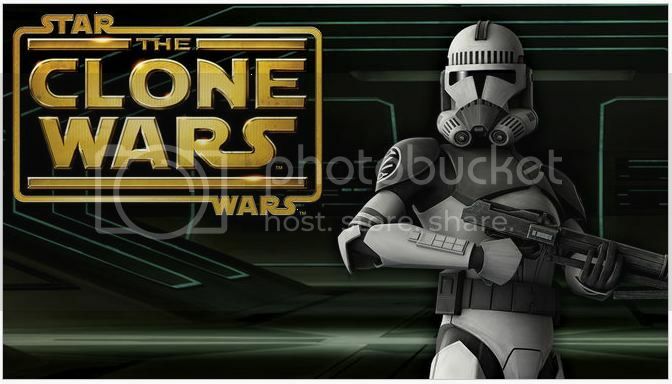 While my personal preferences is for the orginal trilogy movies and the extended universe books, our four boys absolutely love The Clone Wars animated series on Cartoon Network. However since we are a non-cable household, we are always at least one season behind as we have to wait for the latest DVD sets to be released. We own four of the six seasons so we've fallend quite behind. Until recently. The other day imagine my surprise when I received an extremely excited text from my husband letting me know he is watching The Clone Wars series on Netflix. That's right, my husband...not my kids. I mean once they realized it was there, they all became excited, but I don't think any of them topped him. They immediately began watching Season 5, which they got through fairly quickly and wow did that season end with a surprise. now we are moving on to 6 and I am trying to make them go at a slower pace to stretch it out! Lucky for us The Clone Wars wasn't the only animated series that Netflix added recently, so we've had a bunch of new to us shows to choose from. Two other new Netflix additions that have also been a huge hit in our house lately are Pokemon Black and White and Phineas and Ferb. While to most of the country these shows are old, we had never seen them until they popped up in our Netflix menu. I love the ever growing list of shows and movies to choose from, there is always something to make everyone on our family happy! 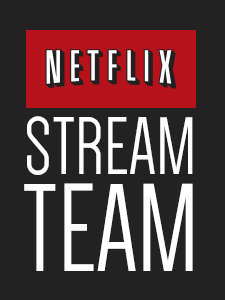 Have you or your kids discovered any new favorites on Netflix recently? Or do you have a favorite show that you are really hoping gets added to the Netflix lineup soon?